A formula with organic essential oils to improve circulation and feel more energised! Capsules 500mg / 2,1 oz.net wt. Walking, heat, heavy legs... At the end of the day, our legs are sometimes tired and swollen. Circul'aroma is a blend of essential oils traditionally recognised for their ability to increase circulation and improve energy. Everlasting, goldenrod and bay leaf help revitalise tired legs and improve blood flow. This perfectly balanced formula is guaranteed to protect your health. The Salvia advantage: Omega-3 fatty acids help thin the blood. As a carrier oil, we use a perilla plant oil. 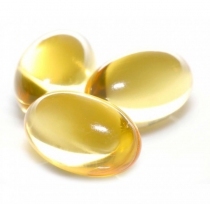 It is naturally rich in omega-3 fatty acids to enhance your well-being. Our formula therefore contains 100% natural active ingredients.